Today’s generation has come to expect results that are as effective to our self-confidence as they are efficient to our busy schedules. Specializing in the beauty industry’s most innovative skin care systems, The Laser Generation Anti-Aging Clinic stays ahead of the curve with groundbreaking alternatives that not only garner immediate approval, but are also non-invasive. 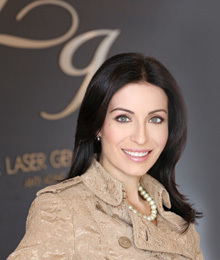 “We strive to offer the best, the latest, the most comfortable and effective treatments to our clients,” says Suzie Swica, owner and director of clinical services of The Laser Generation.